Atlanta Metro Area offers so much more than sophisticated nightlife. The natural attractions are among the most interesting anywhere. Biggest and best of natural attractions are all here. 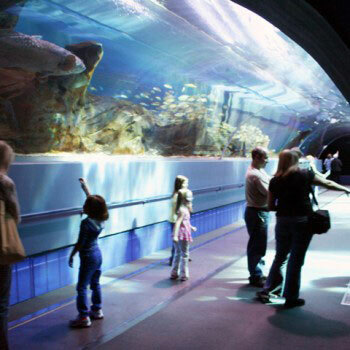 From the largest aquarium in the world to the largest bas-relief carvings in the world on the largest exposed granite dome in North America at Stone Mountain, This tour is supersized. The best is here also. Zoo Atlanta's Gorilla Exhibit is considered one of the best in the world. Then let's not forget General Beauregard Lee, the favorite Southern weather prognosticator who resides at Yellow River Game Ranch. Come along and visit the best of Atlanta's natural attractions with Atlanta, Georgia in the Wild! So don’t just come for the nightlife – take in some ‘super natural’ attractions as well! This tour brings the best of them to life for you. This tour is available on Tours4Mobile.